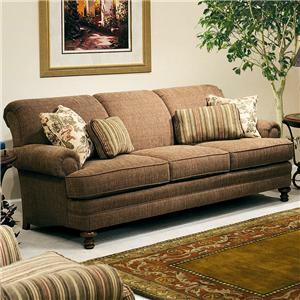 This large traditional styled sofa will add sophistication and elegance to your living room. 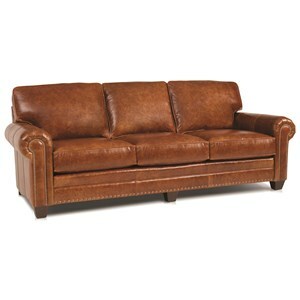 Traditional features give this sofa its special character and beauty. 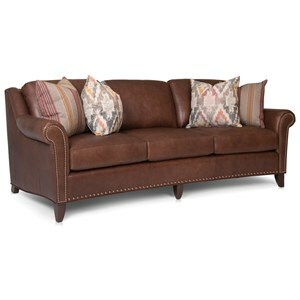 Features include button tufting, rolled arms, nailhead trim, and turned feet of exposed wood. 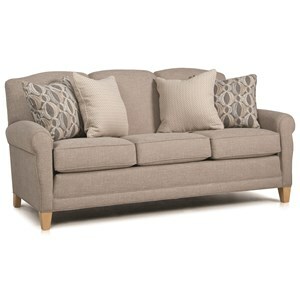 Pair this sofa with a matching chair and ottoman for a lovely living room set. 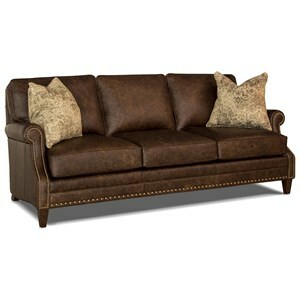 The 396 Traditional Large Sofa with Button Tufting by Smith Brothers at Mueller Furniture in the Lake St. Louis, Wentzville, O'Fallon, MO, St.Charles, St.Louis Area, MO Furniture Store and Belleville, Shiloh, O'Fallon,IL area. Product availability may vary. Contact us for the most current availability on this product. 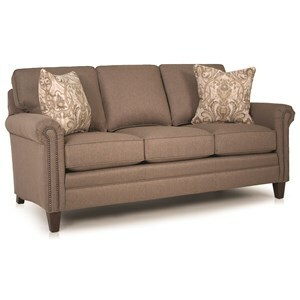 This 396 sofa collection will add classic elegance to your traditionally styled living room. 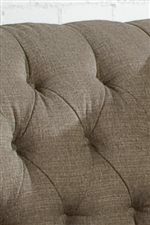 Its formal beauty is demonstrated by button-tufting, nailhead trim and turned feet. 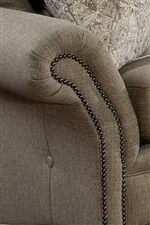 Another interesting feature of this collection is the unique comfort wrinkles that are designed to enhance the exceptionally soft feel of the seat and back cushions. 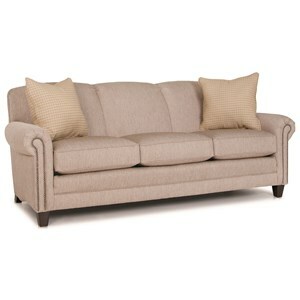 Pair these pieces with the matching loveseat (not pictured). 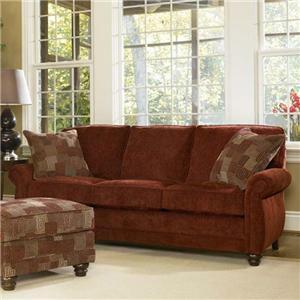 The 396 collection is a great option if you are looking for furniture in the Lake St. Louis, Wentzville, O'Fallon, MO, St.Charles, St.Louis Area, MO Furniture Store and Belleville, Shiloh, O'Fallon,IL area. Browse other items in the 396 collection from Mueller Furniture in the Lake St. Louis, Wentzville, O'Fallon, MO, St.Charles, St.Louis Area, MO Furniture Store and Belleville, Shiloh, O'Fallon,IL area.